©Barry Sandland/TIMB – Signs outside barber shops in Africa have often been seen as original art. The same inventiveness is found in many businesses, bike shops included. There has always been something unique about African business signs. There have been countless images, then posters and even gallery presentations of barbershop signs, the cliffs, cuts and designs available from within. 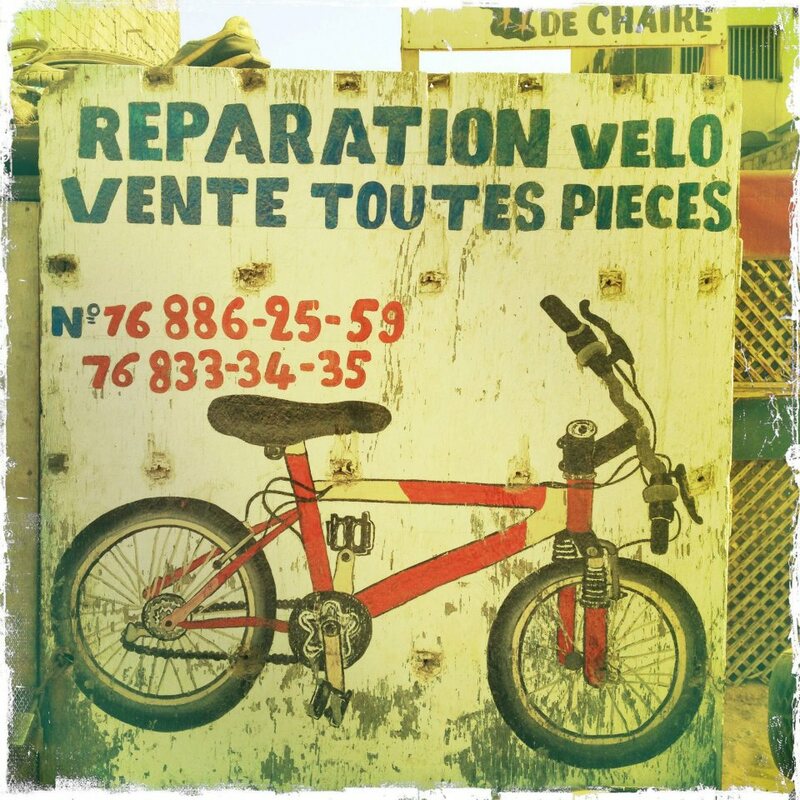 When I was in Senegal, I saw this piece of art adorning the entrance of the local bike shop. I regret, to this day, not offering to buy it and bring it home where it could have decorated my home. But then, perhaps it should remain true to its origins, the bike shop, and all the people who see it as a welcome for them and their bike. This entry was posted in advocacy, art. Bookmark the permalink.